This information provided by the Lafayette Parish Communication District. Data will refresh every 15 seconds. The Lafayette Parish Communication District can be reached via email at eoc@lafayettela.gov or by dialing 337-291-5060. In case of an emergency, dial 911. 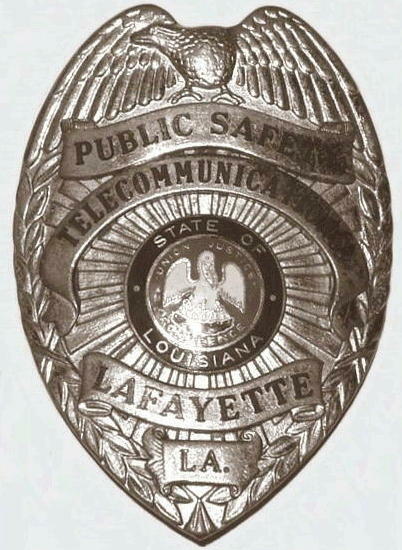 If you would like to commend the agency or its employees or to register a complaint, please contact the Lafayette Parish Communication District via email at eoc@lafayettela.gov or by dialing 337-291-5060. Written permission from the Communication District to hyperlink to this public safety site is required. The Lafayette Parish Communication District makes every effort to present current and accurate information. No warranties, expressed or implied, are provided for the data herein, its use, or its interpretation. The services provided are for informational purposes only and should not be relied on for any type of action. The service is available as-is and where-is. The service may be unavailable at times due to computer or network failure.